If your standard answer to life’s big questions is “more power!” then the PV 2000 may be for you. The four-rackspace behemoth offers 1000 watts per side into 2 ohms (400 per 8 ohms) and up to 2000 watts in 4-ohm bridged-mono mode. Reported frequency response is as wide as 10 Hz-40 kHz. The steel chassis seems rugged enough to withstand Armageddon; though on of the rear rack ears did get bent in shipping (global destruction has nothing on those UPS guys). The amp is cooled by a two-speed fan mounted at the back. The bulk of the PV 2000’s controls and all connections also appear astern. Each channel has separate controls for volume, a sub-sonic filter for rolling off low end below 40 Hz, a DDT compression enable switch and a crossover switch, which splits out high frequencies, allowing a number of cool options: you could, for example, power a subwoofer with one channel and a standard monitor with the other. DDT is Peavey’s version of automatic speaker protection, applying compression automatically whenever the amp is clipping. Other controls include a stereo/mono switch and a circuit breaker, to protect the amp from meltdown. Each channel has a pair of parallel ¼-inch TRS balanced/unbalanced inputs; speakers connect to either ¼-inch jacks or binding posts. The front panel houses the power switch and indicator lights that signal DDT activity. 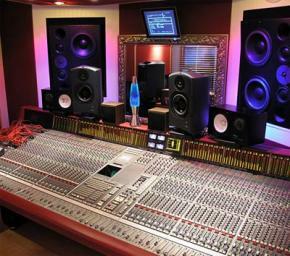 The Peavey produced low to moderate ambient noise and sounded clean through the speakers. Our JBLs responded impressively across the frequency spectrum, with punchy bass and clear, but not overly crisp highs. The DDT compression circuit leant no noticeable coloration during our limited test. 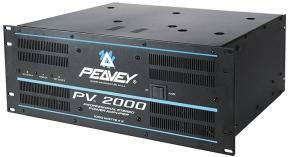 Peavey has an enviable rep for building road-tough gear, but the good-sounding PV 2000 may be even better suited to a permanent install, where accessing the rear-mounted controls would be less of an issue and the unit’s weight no issue at all. 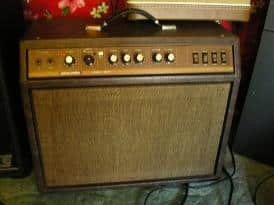 Help please, I need a service manual for the peavey pv2000 amp. You can find a nice used PV 2000 for around $200. I have seen them for more, but a good bargain price is under $200. please i am electronic in Ghana and please i am searching for the circuit diagram of this amplifier.Thank you? please where can i get the circuit diagram of the peavey pv 2000 becasue i have one in my shop and i am servicing it.But some have been removed so i am sreaching for it diagram thank you? I would suggest emailing Peavey for the circuit diagram. Sorry, I don’t have access to it. 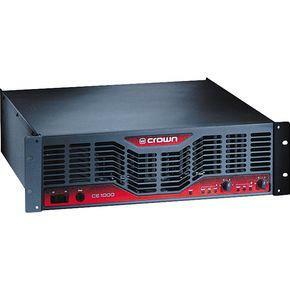 I used alot of amps from crown to qsc the peavy pv2000 is just as good or even better i love the built in crossover the amp rocks. I have a PV 2000 and PV 1200, both have served me dependably for over 10 years now. And the DDT protection circuit is the saving grace. If you can get your hands on this series, it’s well worth it — even just as a backup amp.